We have been the subject of a few news features over the years, and several of our projects have been reviewed as well. For links to some of the write-ups that are available online, please check out our Accolades page. A six-part behind-the-scenes video tour of our facility, which provides glimpses of many Pauling artifacts that are rarely seen, is available here. A documentary on Pauling’s life, produced with our assistance by Oregon Public Broadcasting, is freely available here. Please note that the Pauling Blog is not responsible for content hosted by the various websites to which it is linked. The views and opinions posted on the Pauling Blog do not necessarily represent the official policies of Oregon State University or its affiliate organizations. Thank you for visiting Condon. 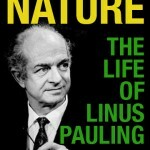 You are always welcome and we are very proud that Linus Pauling spent much of his childhood in our charming small town. Come back soon and check out our recently (and underway) commercial building restorations on Main St. – on the National Historic Register! It’s a shame that you don’t describe the very important research that was conducted at LPI in the 1980s funded by my grants from the National Cancer Institute and the American Cancer Society that led to about 30 papers and to an invention licensed by Stanford for 17 years. It’s all in Google Scholar if you want to look for it. Three important human genes were defined and two of our papers, one sponsored by Linus Pauling in PNAS, received >1000 reference citations. 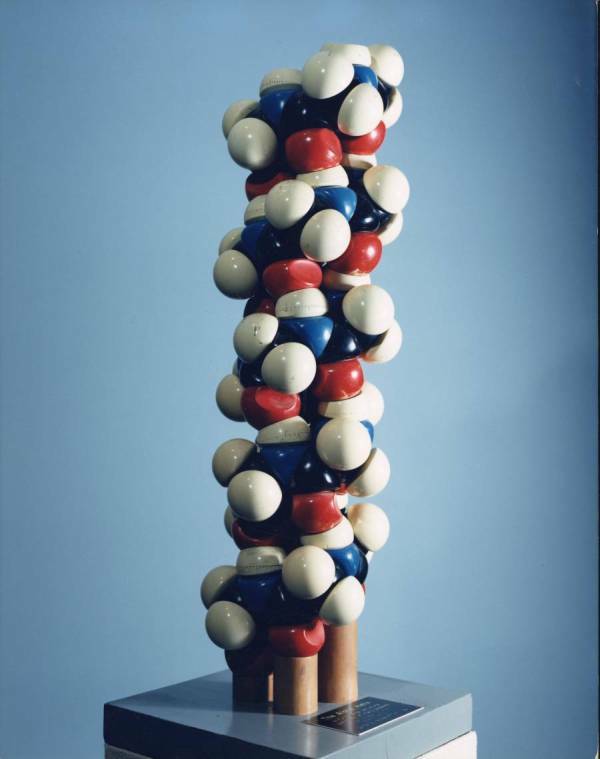 Enjoyed reading about Dr. Pauling and the Alpha Helix, which I had never heard before. For the record, though, the ship did not waste any time between the refit in 1972 and the second Amazon expedition in 1976. Off the top of my head in 1973 it worked in both Baja California and then headed for research in Hawaii. The following year began a Pacific tour. After a stop in Australia, including work on bioluminescence around the Banda Sea in Indonesia, and an investigation of sea snakes in the Philippines. Heading back to North America the ship did research on salmon physiology in British Columbia, and in late 1975 or early 1976 headed down to the coast of Peru to participate in a multi-ship (including OSU’s research vessel) investigation in a program called CUEA, looking at El Nino. I believe OSU archives has some pictures of the Helix at sea during that time. After CUEA, the ship went through the canal and up the Amazon. My source here is my memory;I was a marine technician aboard the ship during those years. Thanks for your comment, Tom! We have edited the post to reflect your input. Hello, I’m currently researching about nuclear disarmament history for my organisation (WILPF). I enjoyed reading your website and was wondering if perhaps I could reuse (of course for non-profit purpose) the picture you posted in your “Baby tooth survey section” of the CNI report. Please let me know and thank you for this very interesting blog. Thank you very much for this informative blog! I am writing to ask you for some information regarding Dr. Pauling and his residence(s). In early 1964, my father and I travelled to Big Sur to visit Dr Pauling, who was living with his wife in a small one-room house on land I believe he owned overlooking the Pacific Ocean. My father, Joseph Wythe, was (and still is) an architect, at that time practicing in Monterey. Dr. Pauling was interested in building a house. This is something that is commonly done with the proceeds of the Nobel Prize. In any case, my father made working drawings to present to Dr. Pauling, but he was not retained to do the house. My mother told me that another architect was chose to design the house, but I can find no reference to any house ever being built for Dr. Pauling at any time. (The only reference I can find is to a house in Oregon purchased by his mother after his father’s death.) According to the Pauling papers, the architect chosen by Dr. Pauling in 1964 was John Gamble, a colleague of my father’s on the Monterey Peninsula, but I cannot find any mention on the internet of a Pauling house by Gamble ever being built, and the last record in the Pauling papers about John Gamble is simply some checks written to him, which I assume were for his preliminary drawings. If you have any information about this, I would appreciate it, so that I can put to rest some unfortunate rumors about why my father was “passed over” in the selection of an architect for a residence which apparently was never built. Thank you very much for your time in this regard. Hello! My name is Ramona Kamb. I randomly stumbled upon this blog, not being a student from OSU. I am actually Linus’ great-granddaughter! Very weird and interesting to see a complete blog and archive about someone who I view as familial and fond, a part of my family and family history. I drove out to Ragged Point today. The soda vendor told me that a Linus Pauling lived just a few miles away on Hwy 1. I didn’t know about Linus. He told me a little about him, so I looked him up. Found your blog and decided that someone needs to create a museum at the Ranch. The guy was Brilliant and has so many great stories that need to be shared with the people who drive up and down Hwy 1. I’m a mining geologist from Colorado. Recently I was going through my vintage collection of micromount minerals and discovered a beautiful sample of crystalline lepidocrocite attributed to Linus Pauling (1933). This is a hydrous form of the mineral hematite. As you may know Pauling co-authored a paper on the crystalline structure of corundum and hematite in 1925. So I’m guessing that the sample came out of that period of his research. Does anyone know if Dr. Pauling was a collector of micromount minerals in his early days? I heard that Robert Oppenheimer gave him his extensive mineral collection at some point in his life. My name is Sunny, and I’m a Japanese. because I have great respect for him. Please listen to the song from this link. And the lyrics of the song is here. 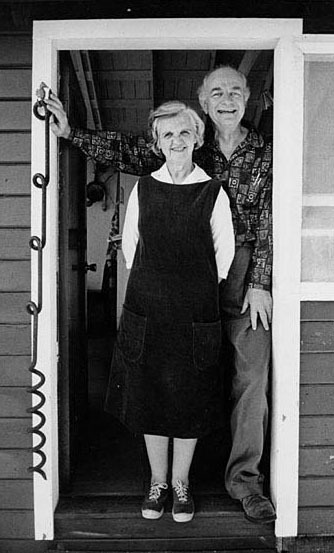 The International Harvester Company: A History of the Founding Families and their Machines (due May 2019) describes Mathilde McCormick Oser, whose daughter Anita, married Linus Pauling Jr.